Space is a dangerous place. Let's face it, without a significant amount of technology humans would simply be frozen meatsicles floating around the void. 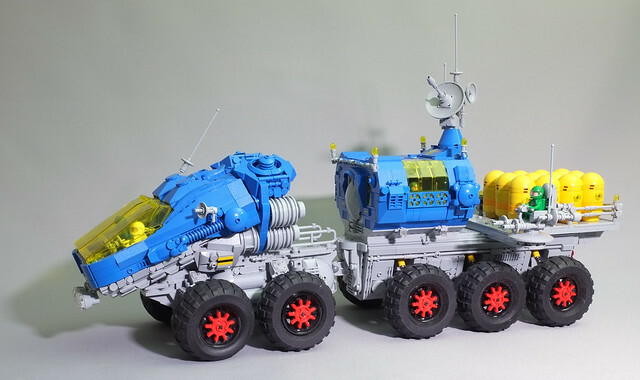 Luckily we're reasonably clever, and in the future we can look forward to tooling around distant planet surfaces in machines like this awesome behemoth by hhcBrick. I don't know what they're collecting and I don't care, I just want to go for a ride.